We’ll be joining a roundtable discussion with the Urban Conflicts research group at the Department of Architecture, Aristotle University of Thessaloniki. The group was set up with the aim to open up a space for public discussions, lectures and presentations on the city in the age of global crisis. We’ll be discussing our work on urban no-man’s lands and it’s relation to current work done by the Urban Conflicts group on immigration, mobility, processes of subjectivity formation, politics of identity, as well as the concepts of class, nation, ethnicity and gender. The event will take place on Friday, 25 Sep 2015 at 18:00, at the Department of Architecture, School of Engineering, Aristotle University of Thessaloniki. 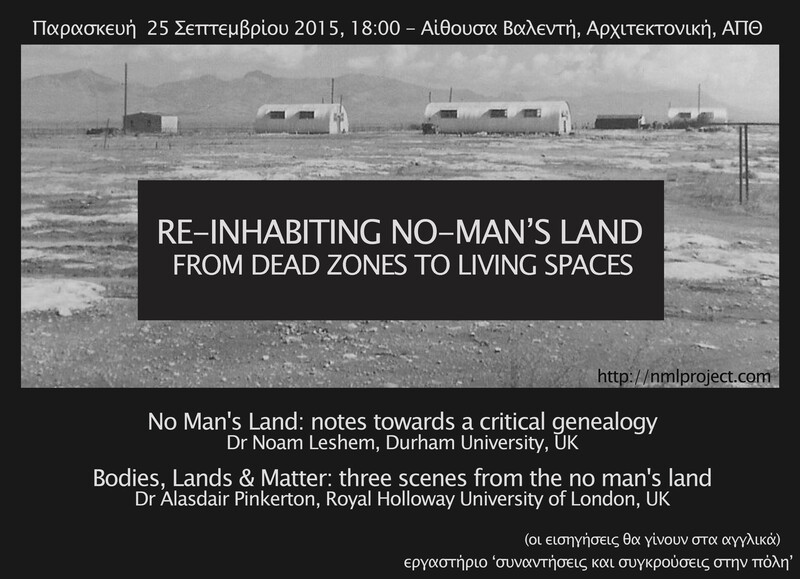 ← New No Man’s Lands?